It’s been four to five years since the introduction of am3+ processors. In technology-world, that’s a lot. And yet, the best am3+ processors are in demand to this day. With the Ryzen series, AMD gained mainstream parity with Intel. However, AMD had the support of a large number of enthusiasts even before this, thanks to the fact that they offered more physical cores and were relatively inexpensive. The Ryzen series is now rapidly becoming a practical, viable choice for many casual users as well. Apart from the gaming community, AMD has got a thumbs up from all corners of the market. While mainstream acceptance is great, AMD had a niche following for years, mainly that of PC builders and enthusiasts. Among these, the FX series was the most popular. In classic AMD style, it offered more cores and threads. This time around, the clock speeds are very good as well. One more practical reason was that the processors used an am3+ socket. Most motherboards had an AM3 socket and were compatible with the new processors. Some manufacturers simply released a BIOS update that made the motherboard and processor compatible with each other. There was no need to change or upgrade motherboards and this was well received by the customers. To this day, am3+ processors are widely popular with serious gamers and other enthusiasts. They offer most features that a modern processor offers, but at a fraction of the price. Overclocking, cores, threads, clock speeds – am3+ processors don’t lag behind by much. So, we decided to list the best am3+ CPUs that you can buy today. Energy efficiency or power consumption was a big talking point with respect to processors until two or three years ago. Most processors consumed a lot of power and AMD CPUs were particularly energy-thirsty. AMD’s solution to this was the FX 8320E, where E stood for energy. The result was that the base clock speed of the processor was now 3.2GHz which was a slight decrease in comparison to its predecessor. The boost clock speed, however, stayed the same at 4GHz. Wattage came down to 95W. But what makes the 8320e dear to us is the fact that it has 8 cores and costs just about $70. There are very few processors on the market that offer this configuration at this price. If you have a need for multi-threaded performance, you can’t go wrong with the 8320e. The CPU supports dual channel DDR3 RAM and while the 32nm technology is decidedly old, it doesn’t hinder performance by much. Like most AMD processors, the 8320e is overclocking friendly. You can easily bump up the speeds to 4.5GHz. 4.5GHz for $70; that’s why it’s on our list. Gaming performance isn’t great. Then again, it isn’t bad either. If gaming is your primary concern, you’re better off with an Intel processor anyways. Also worth noting is the fact that after overclocking, you can play most games at about 70-80 fps which is not bad at all. So, if you use media applications heavily and are willing to compromise slightly on gaming performance, the 8320e can be the perfect processor for you. 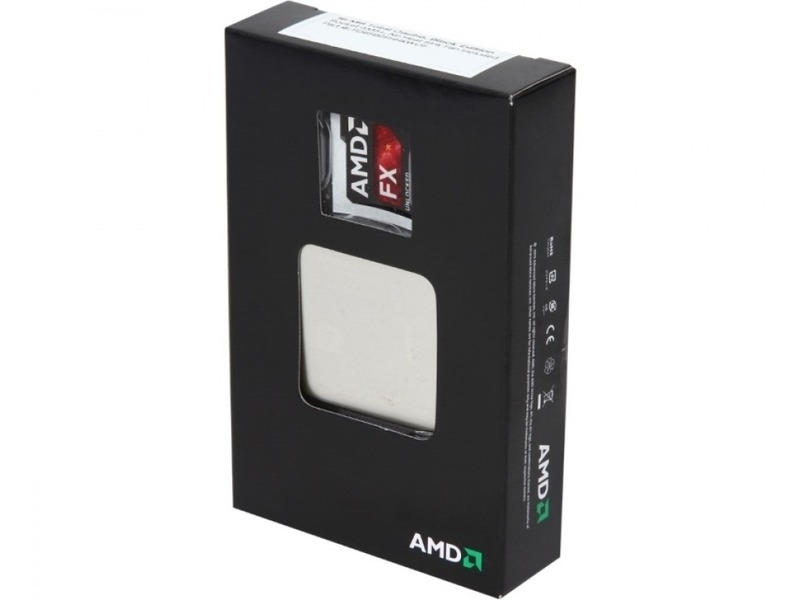 If gaming is your primary concern, the AMD FX 8350 isn’t for you. However, anything else that you throw at the processor, it comes out winning. The 8 core 8 thread processor is an all-rounder. The clock speed is 4GHz and it can quite easily be overclocked to 4.2GHz. When overclocked, it delivers decent gaming performance as well. However, gaming isn’t what the 8350 was built to tackle. If you do a lot of video editing, streaming, and use 3D designing software, this is the processor to have. It is less than half the price of modern processors and delivers almost the same performance. The processor with the stock fan retails around the neighborhood of about $70. If you want the processor with the Wraith Cooler, it’ll cost you about $60 more. We would recommend buying the latter, given that the processor is known to get hot. 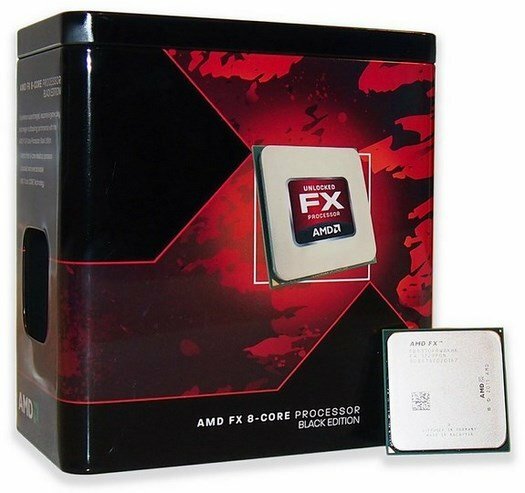 The FX-8350 is a part of the Piledriver series of processors. The aim with these CPUs was to fix a few glaring issues the predecessor, Bulldozer, had. Largely, AMD did succeed in this effort. The 8350 consumes less power than before, has better ‘per core’ performance and is far better than similarly-priced Intel chips in multi-threaded tasks. What’s more, as with every product on this list, if you’re still using the K10 hardware, the processor is completely compatible. There are a few drawbacks as well. Power consumption is still pretty high, with the highest TDP still at 125W. Single threaded performance has never been AMD’s strength and it is true here as well, which is why it isn’t a great gaming processor. While these drawbacks might put off a gamer, it’s still very attractive to people who do a lot of heavy media work. Having 8 physical cores does improve performance significantly. And when all’s said and done, it is one of the cheapest 8 core processors in the market today, and for that price, it is excellent. 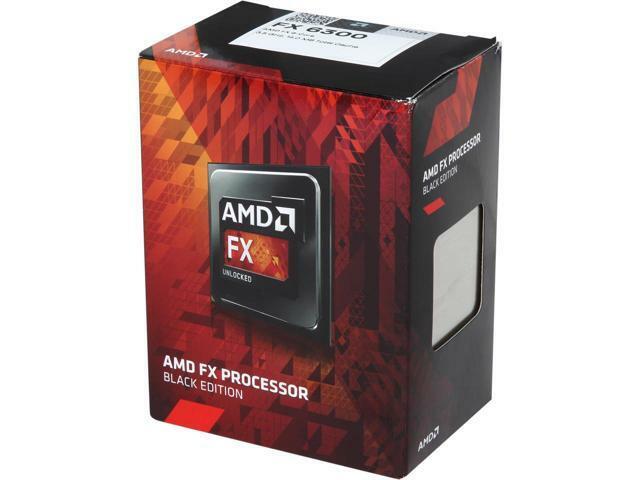 The AMD FX 6300 is one of the cheapest products on this list, and yet, it is the best suited for gaming. With 6 cores and a base clock speed of 3.5GHz, the 6300 has performed extremely well on gaming benchmarks. If you have a K10 hardware setup and are looking for some boost in gaming and overclocking, this is the processor for you. For a six-core processor, overclocking capabilities are rather surprising. You can overclock the CPU to 5GHz and it’ll still stay stable. However, it’s important to note that the stock cooler can only handle moderate overclocking. If you plan to overclock to 5GHz, you need a separate cooler. The 6300 also offers a marked improvement in gaming when compared to its predecessor, the FX 6200. In most games, you can expect an improvement of about 10 to 15 fps. 6300 is quite inexpensive when compared to other processors, which means you can spend more on the GPU, which is the most important component for gaming. Good GPUs can easily compensate for a relatively weak CPU. Then there are obvious advantages of an AMD processor. They are better than their Intel counterparts when it comes to multi-threaded performance. So, if you use media applications heavily, AMD is the way to go. Of course, there are also a few obvious disadvantages. Single threaded performance of AMD processors still lags behind that of Intel. Though we love the gaming chops, multiplayer gaming isn’t really possible. 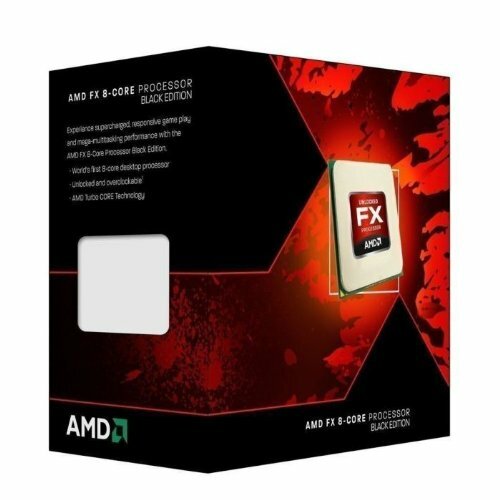 In conclusion, for the price at which the AMD FX 6300 retails, the processor is brilliant. Be it gaming or overclocking, the 6300 doesn’t disappoint. 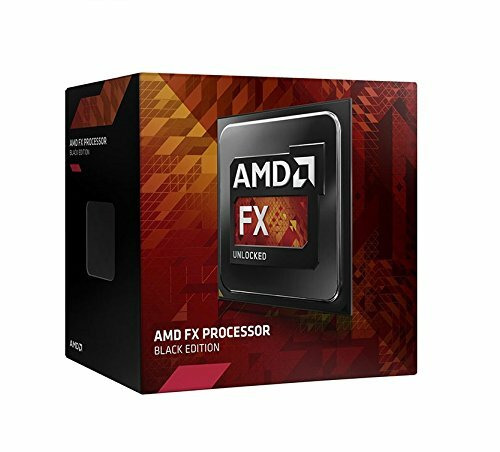 If you are new to PC building and want to build a gaming PC at a budget, the AMD FX 8370 is the way to go. While the price might seem steep, with this processor, there’s very little chance of a bad build. It ticks all the right boxes and maintains a very good balance between performance and price. So, why do we recommend this CPU for your first build? 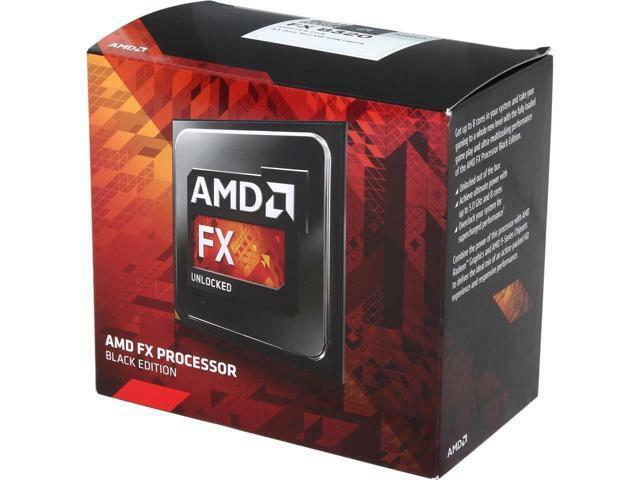 AMD FX 8370 makes our list because of its clock speed and overall performance. The 8 core processor can hit speeds of up to 4.3GHz without any overclocking. When overclocked aggressively, the CPU is capable of hitting speeds of up to 5GHz. Gaming performance is very good as well, given that you can run games like Witcher 3 and Fallout 4 at very good frame rates. We would recommend pairing the CPU with a good mid-range GPU for best results. The other reason it makes this list as the best processor to build your first PC is that it’s shipped with the Wraith cooler or a stock fan. You won’t have to worry about cooler compatibility and whether the cooler can handle the processor. As long as you’re not going to overclock aggressively, the Wraith cooler will do the job. There are a few disadvantages as well. The 8370 is not vastly different from the 8350 and yet costs more. The gains don’t justify the costs very well. Also, the processor still lags behind similarly priced Intel products. Intel processors, in terms of ‘per-core’ performance, still vastly outperform the AMD FX 8370. The drawbacks are, however, forgivable, given that the processor is excellent when it comes to multi-threaded performance. Having 8 cores enables you to edit videos, stream, work on 3D designing software, and much more without any hassle. Gaming performance is not bad either, which is why we think it’s the best processor for your first budget build. 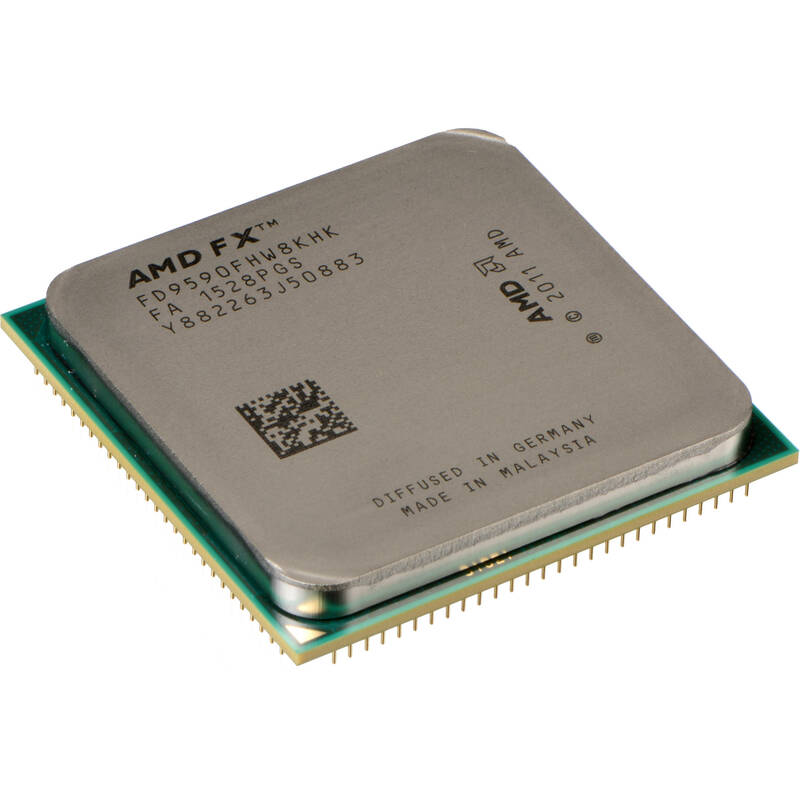 At the time of its release, the AMD FX 9590 was the flagship FX model. The CPU was launched with a price tag of $900. Today, you can buy one for around $100. So, what do you get for your 100 bucks? A lot. 8 cores, 8 threads, and most importantly, 5GHz clock speed. That is the speed with zero overclocking. There are a few things to note, though. You should have a motherboard that supports 220W processors. You will also need a water cooler. Air coolers aren’t good enough. The 9590 became somewhat of a joke, given that the performance was quite appalling. Today, though, the price is significantly lower, which is why we are mentioning it on our list. The FX 9590, to this day, is one of the highest-performing CPU on the market. Like with most AMD processors, if you are into media-creation, the 9590 is a good choice. Also, all the cores are unlocked, meaning that overclocking is easy. Obviously, gaming is better done on Intel processors. This holds true here as well. Respectable is the word to describe the gaming performance of the 9590. It’s certainly not great, but it isn’t too bad either. The disadvantages are few but significant. You need a very good water cooler to run the processor even at stock speeds. If you plan on overclocking, get ready to shell out good money for high-end water coolers. And the classic AMD problem persists as well. The 9590 lags well behind Intel in ‘per core’ performance. 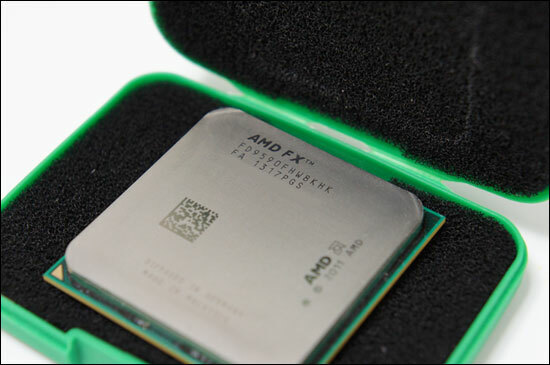 However, if you have the hardware to cool the AMD FX 9590, the performance is excellent, even by today’s standards. Before you go ahead and spend a lot of cash on a new processor, here are a few things that’ll make your job easy. A processor is connected to the motherboard via a socket. Make sure, in this case, that you buy am3+ processors only. All the CPUs listed above are am3+ processors. However, if you decide to go with some other product, make sure that you pick a processor with the right socket. While an 8 core processor sounds powerful, chances are you don’t need eight cores. If you are going to use your computer to browse the internet and play a few videos, you don’t need 8 cores. Know where to spend: If you’re building a gaming rig, a processor which has 4 strong cores is more than enough. Spend the remaining cash on a better GPU. Your graphics card matter more than the CPU when it comes to gaming. 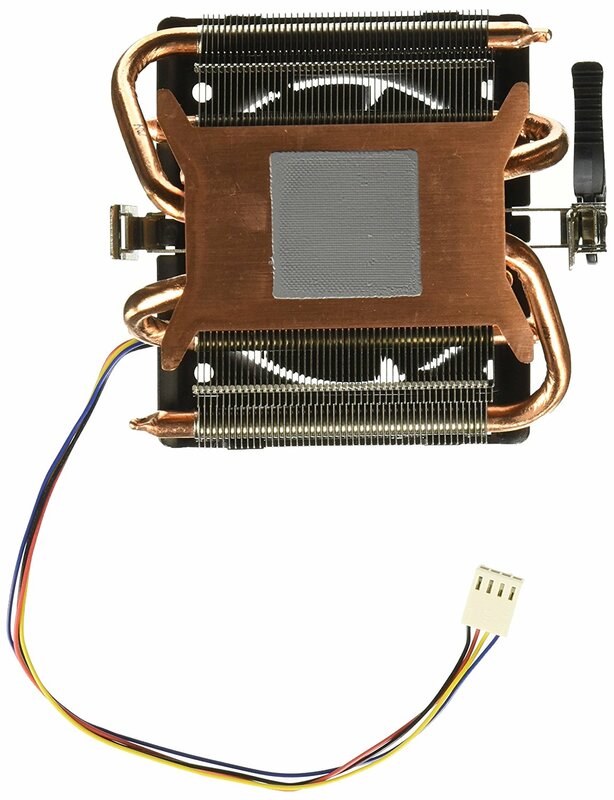 Cooling is especially relevant to the processors we’ve listed in this article. In comparison to today’s processors, the am3+ need far more aggressive cooling solutions. Understanding your cooling requirements before deciding on a processor will save you a lot of time and money in the long run. The better the clock speed and performance, the more expensive your cooling solution will have to be. Older CPUs, like the ones listed in this article, consume a lot of power. They are not energy efficient. More cores don’t guarantee better performance: One common misconception is that core number and performance are directly proportional. That isn’t always true. If you do a lot of media-creation work, the core number will matter. If you’re building a gaming rig, core strength is far more important than the number of cores. Clock speed refers to the speed at which the processor can process instructions. Unlike core count, higher clock speed always translates to better performance. The only real exception is perhaps the AMD FX 9590. Also, most processors list two different clock speeds. Base and boost. With most processors – exceptions do exist – the boost clock speed is nearer to the real-world clock speed. All questions aren’t equal. We receive some more than the others. We answer the most popular ones here. Are Ryzen processors compatible with the am3+ socket? No. All Ryzen processors use am4 sockets and are not compatible with motherboards that either feature the am3+ socket or the am3 socket. Are Ryzen processors better than older FX processor for gaming? Yes. While Ryzen processors aren’t the best gaming processors out there, they are certainly far better than FX processors. Which is the best budget AMD processor for gaming? We would recommend the AMD Ryzen 3 2200g. However, the processor comes with an am4 socket and not an am3+. A detailed review shows that the Ryzen 3 is far better than its Intel counterpart in gaming because it is shipped with Vega graphics as standard. Are am3+ processors good for gaming? If you’re building a gaming PC from scratch, Intel processors are the way to go. However, if multithreaded performance is the most important priority, Ryzen processors are better. Gaming experience takes a slight hit but multithreaded performance is far superior. The only time an FX processor or any am3+ processor makes sense is if you already have the K10 hardware and don’t want to upgrade your PC for the next two or three years. What coolers do I need for am3+ processors? am3+ processors are notorious for their high power consumption, partly because they are built on old manufacturing processes. However, one cooler doesn’t fit all needs. If you don’t plan on overclocking your processor, an air cooler should do just fine. The exception, at least in this list, is the AMD FX 9590 which needs a water cooler to run on stock speeds as well. With most processors, the rule is simple. The more performance you extract out of your CPU, the more aggressive your cooling solution needs to be. So, if you’re an overclocking enthusiast, be prepared to spend on a good water cooler. Will overclocking increase the gaming performance of an am3+ processor? Technically, yes. Overclocking results in better clock speeds, which in turn, improves gaming performance. However, most gamers don’t overclock their systems because the margin of improvement isn’t great. While exceptions do exist, overclocking isn’t really necessary for a good gaming experience. And am3+ processors do consume a lot of energy. So, if gaming is the primary reason behind your upgrade, it’s better to buy a processor that already offers a good clock speed. At first glance, investing in a top-of-the-line am3+ processor sounds like a great idea. The prices are low, performance figures aren’t that different and you don’t have to upgrade your entire PC. However, there are downsides as well. Power consumption, the heating issues, middling gaming performance, and the fact that the technology is about five years old. If you’re building a PC from the ground up, we would recommend newer hardware. But if you’re looking for a quick and inexpensive performance boost for your PC, am3+ processors are the way to go.